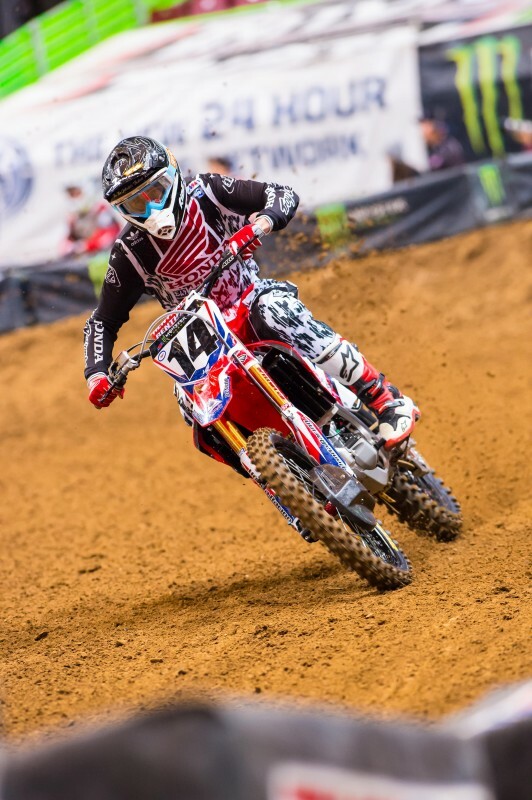 With teammate Trey Canard out with an injury, Cole Seely carried the torch for Team Honda HRC on Saturday night at the St. Louis Supercross, and although he turned in a notable come-from-behind performance to finish fourth, he was slightly dissatisfied at night’s end. 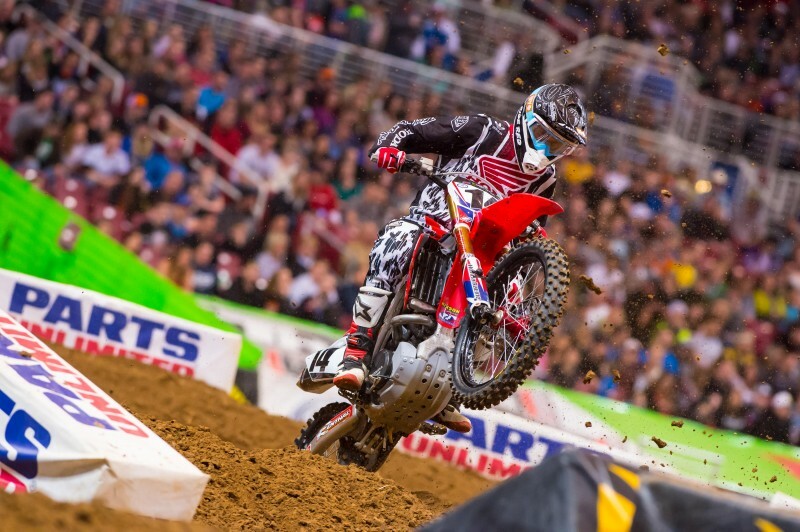 The Californian had been fast all day and was hoping to extend his podium streak, but a poor start in the main event complicated things, putting him ninth on the opening lap. 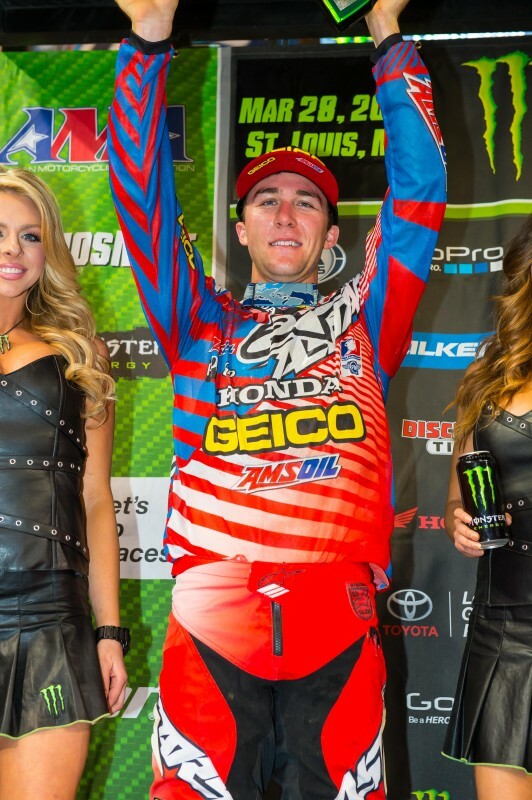 Seely methodically maneuvered his way through the competition before settling for fourth. 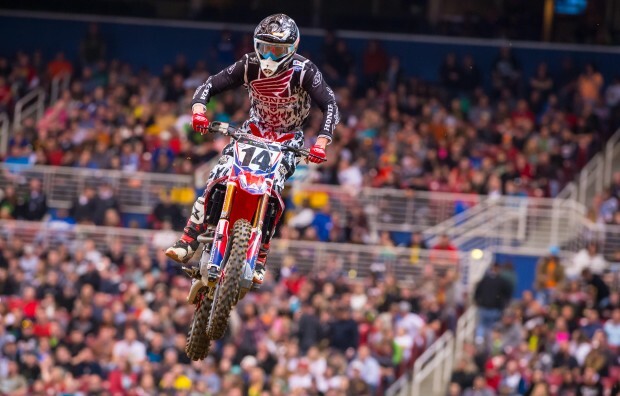 Fellow Red Rider Eli Tomac followed up last week’s victory with a hard-fought runner-up finish aboard his factory GEICO Honda CRF450R, moving him to second in the championship points standings. 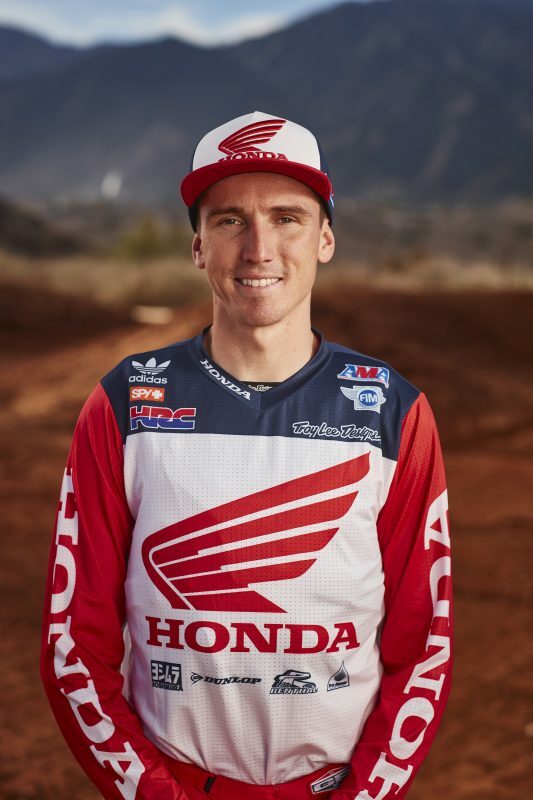 During the day’s timed qualifying practice sessions, Cole Seely’s 48.048-second lap, which was logged in the second session, was good for fourth-quickest, less than one second off the pace of GEICO Honda rider Eli Tomac, who was second with 47.692. 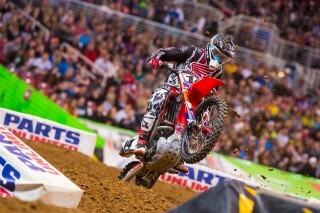 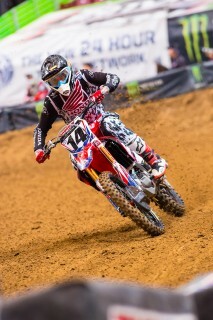 Seely was slotted in the second heat race at St. Louis, and when the gate dropped, he was near the front of the pack. 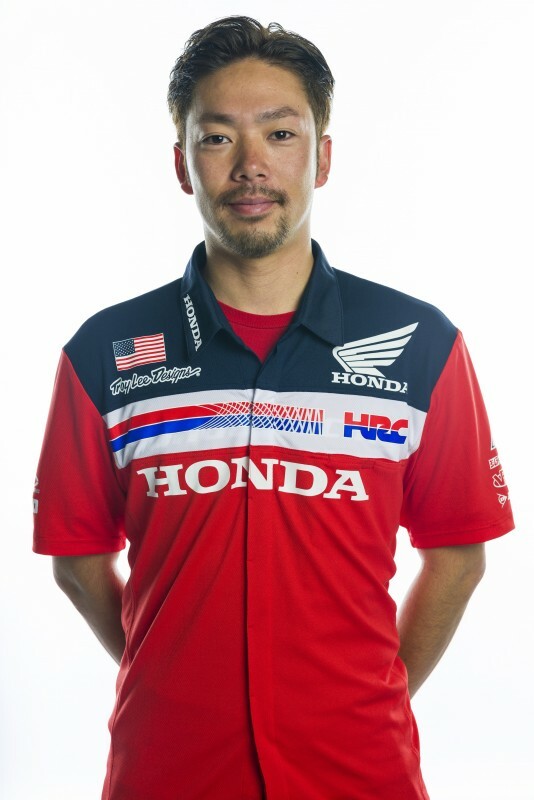 While running second and in pursuit of the leader, he laid down the fastest lap of the race with a 47.427. He settled for second, earning a direct transfer to the main event. 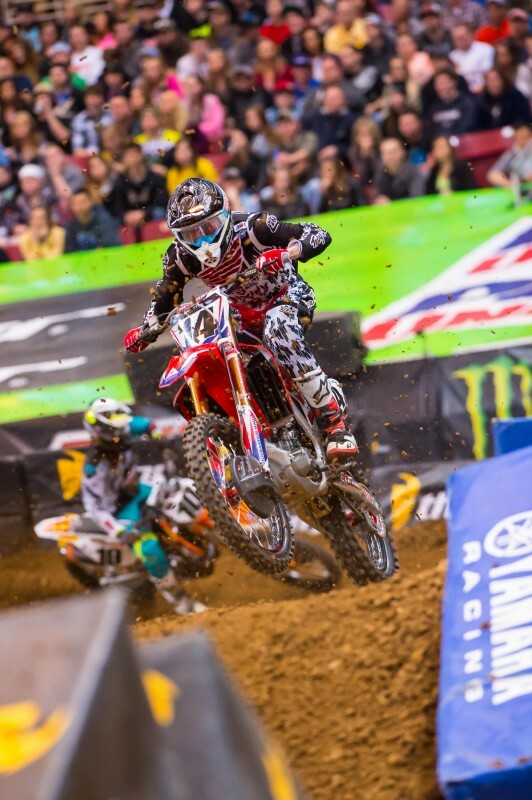 In the same race, Tomac encountered some misfortune on the opening lap and was forced to qualify for the main via the second semi. 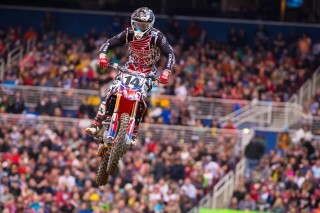 During the 20-lap main event, Tomac laid down an impressive 47.101 lap, the quickest of anyone on the track. Seely wore a replica of Tyler Hoeft’s jersey during the opening ceremonies. 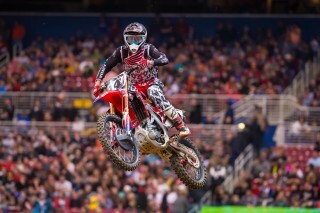 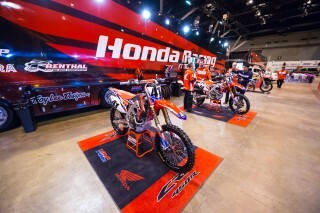 Hoeft was a young racer and friend of Seely’s who recently passed away. 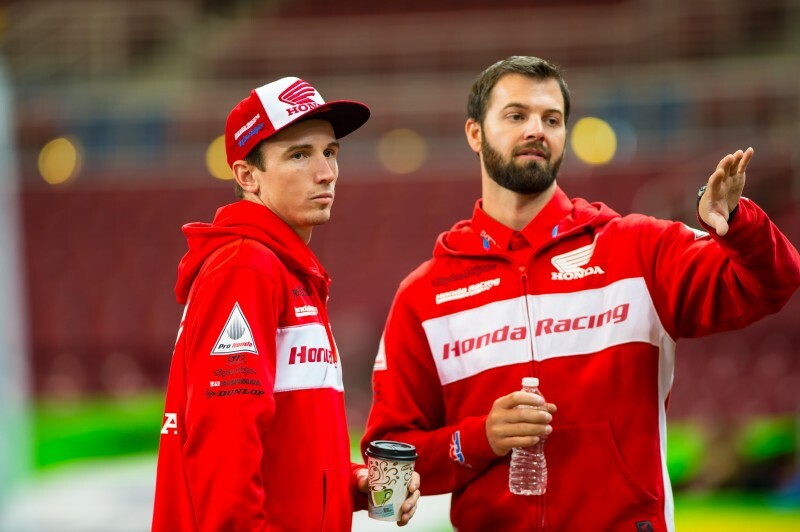 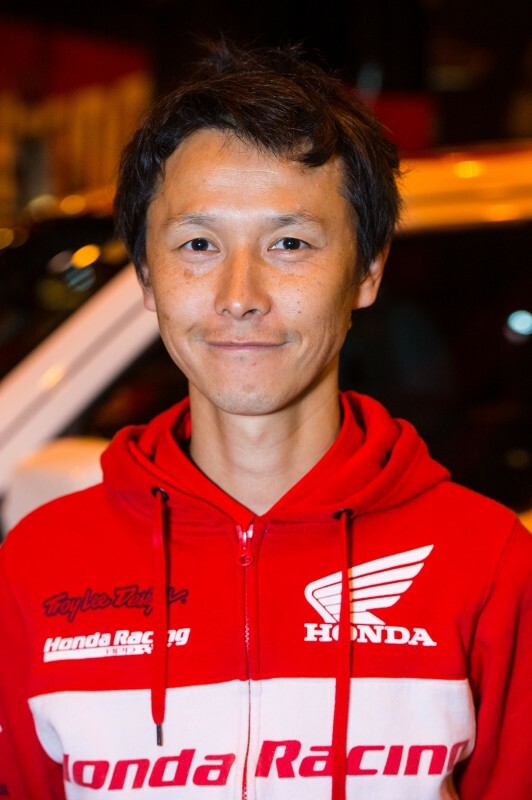 Before taking a well-deserved weekend off, Team Honda HRC has some work to attend to. 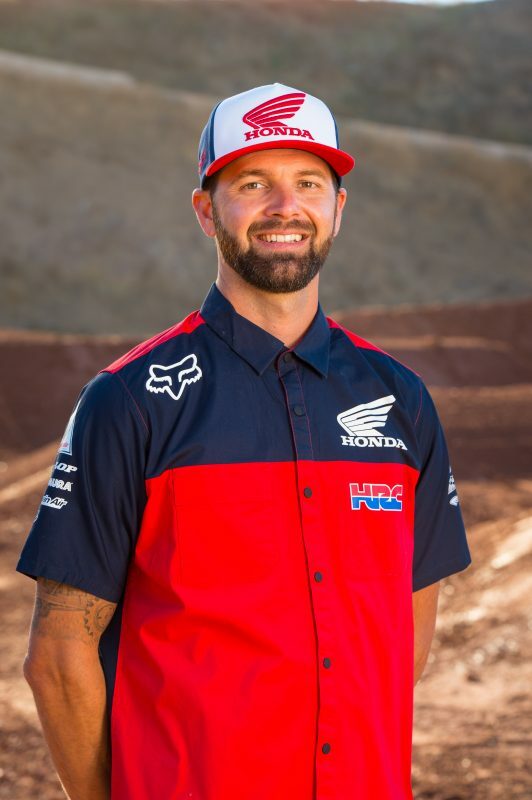 The plan is for Seely and Tomac to spend Monday and Tuesday at Southern California track Zaca Station for one of the team’s first outdoor tests. 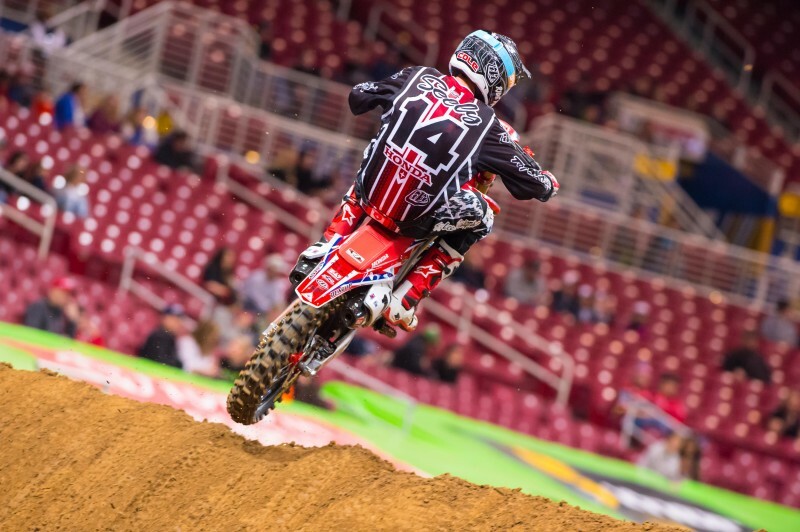 The Honda Red Riders will return to action on April 11 for round 14 at Reliant Stadium in Houston. 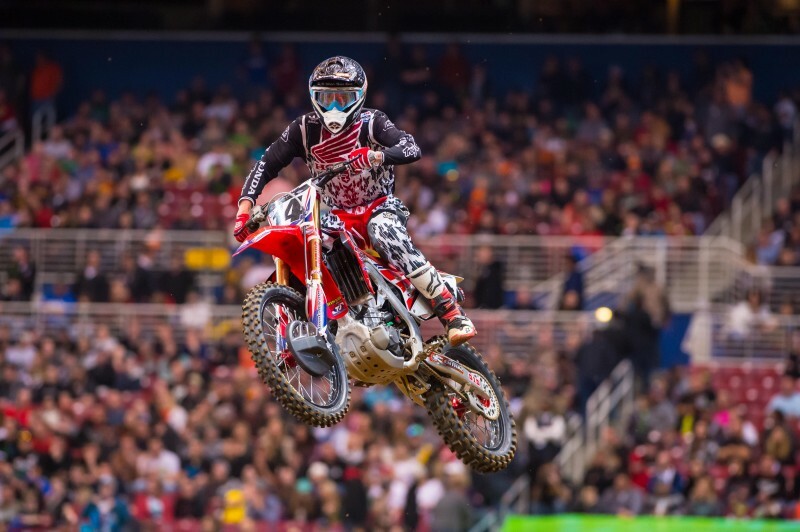 Through St. Louis, the AMA Supercross series had raced every week of 2014, which works out to 13 consecutive weekends, but now the racers and teams will get Easter weekend off. 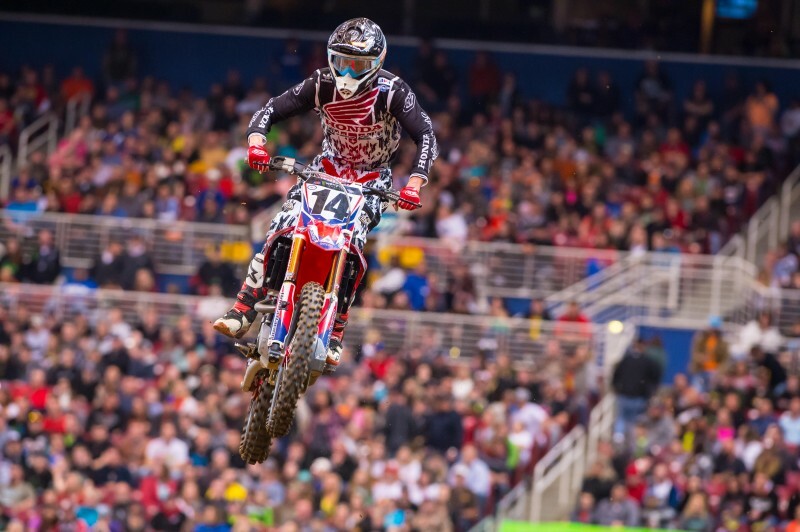 The pause is welcome for many, including premier-class rookie Cole Seely, who has never before had to take part in the entire 17-round schedule.